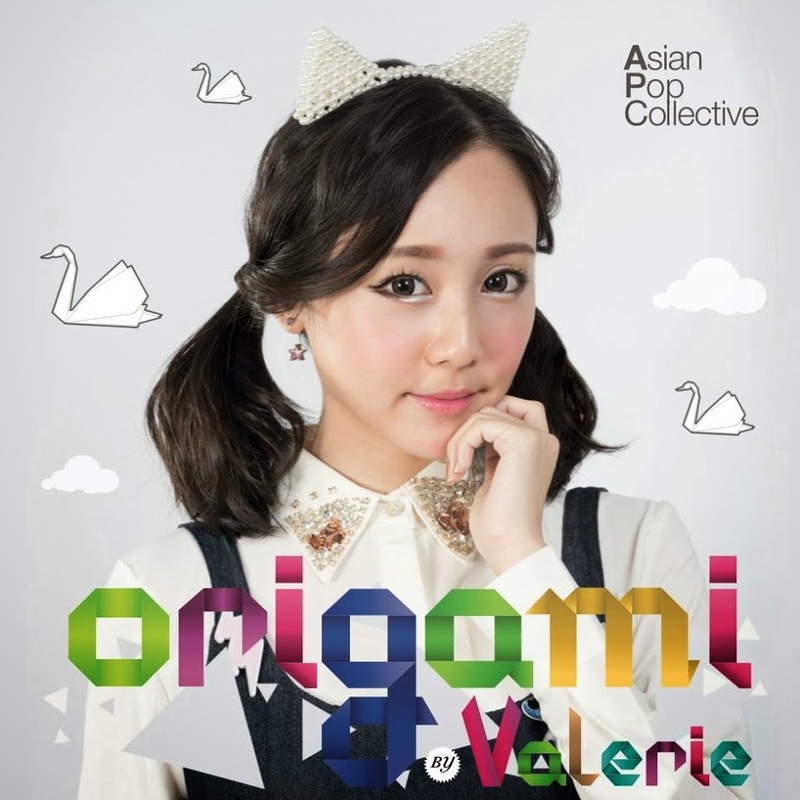 Home / Asian Pop Collective / Jpop / origami / Valerie / Asian Pop Idol Valerie “Origami” fan meeting! Valerie fans unite! Valerie of the Asian Pop Collective will be holding her very first fan meeting event featuring her single, “Origami” on the Feburary 14th to thank the fans for their support of her solo debut release. with a copy of Origami CD and will be held on February 14, 2014 (Friday) at ‘Dessert times @ Block 5 Changi Village Road #01-2013’. Fans can expect to get their copy of Origami signed and interact with Valerie to share their experiences with her music. Origami - Theme based on the traditional Japanese art of origami paper folding. A bouncy dance music number combining a cute and natural anime-esque voice, Japanese musical instruments and electronic dance music. Within the EDM sound that is already a club standard all over the world, is the insertion of keywords related to traditional Japanese sounds and culture. It is a fitting song for Valerie, who is an avid lover of Japanese culture. The lyrics will definitely repeat over and over in your head. Hato - "Po, Po, Po" is a line that is known to every Japanese person. A daring dance music arrangement of the song from the Japanese Ministry of Education, Culture, Sports, Science, and Technology. Valerie's sweet, unfaltering magical voice and a vaguely reminiscent track arrangement is wonderfully entwined together to form a pleasant number. Just like "Origami", a magical number that will become a habit once you listen to it. Valerie's Origami is now on sale at HMV Singapore. Valerie is a Singaporean. She was born on February 14. She was first spotted at the largest annual Japanese pop culture themed event in South East Asia held in Singapore, "Anime Festival Asia (AFA)" in 2010. Her overwhelming presence at the maid café soon drew the eyes of scouts, who approached her with debut plans. In 2011, She debuted as part of Sea*A, an anisong idol group with a great passion for Japanese pop culture. They aimed to revolve around anime, anisong, cosplay, idols and figures etc. Her group was selected to provide the theme songs for hit anime such as "Cardfight! Vanguard", "Toriko", "Arashi no yoru ni: Himitsu no Tomodachi"and "Cardfight! plans to spread her unique viewpoint on Japanese Pop Culture even further.